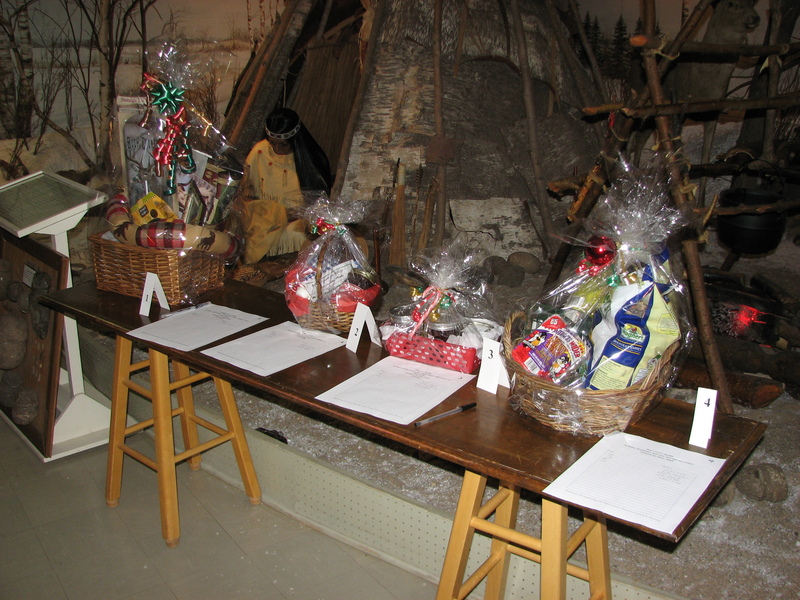 Yes indeed – the baskets are ready for bidding. 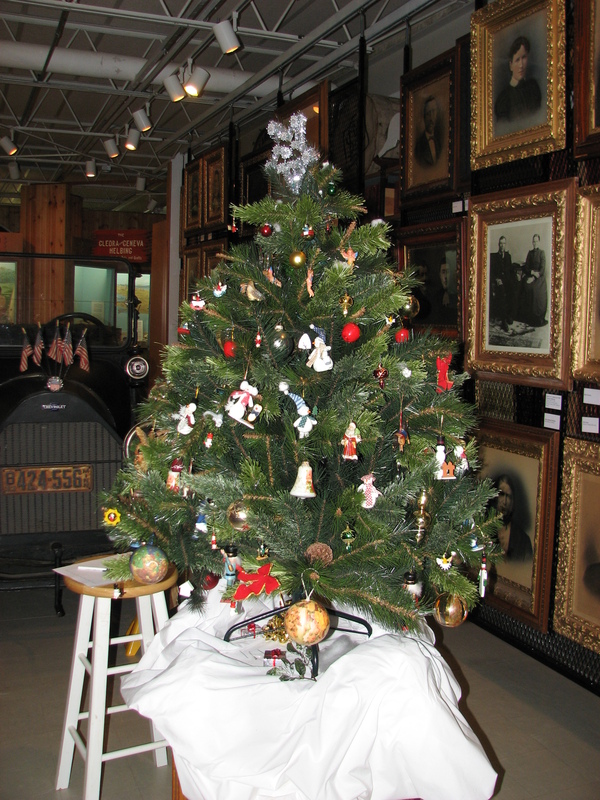 Stop in any time this week – we are open 10-5. The official Open House is Saturday 1-4. We’ll have goodies to eat, goodies to buy and the bidding will end on the 110 baskets. There really is something for everyone – from bow hunters to scrap bookers. There is a 6 x 12 ft area rug, a decorated Christmas tree, a Hurdy Gurdy, fresh baked goodies, quilts, works of art, office supplies, picnics, ice fishing events and toys. There are gift certificates for oil changes, dinners, movies, lodging, hair cuts, furnace inspections and more. We hope you’ll stop in and see us. Includes: Fleece blanket, 2 water bottles, 2 golf towels, 6 golf balls & 1 dozen tees in a collapsible bucket. Includes: Envirocloth for chemical free cleaning, spirisponge, spirinetts, hand pads and a car wash mitt. Includes Large T-shirt, mini basket ball and Crunch bobble head. Give it a crank to see what it does. Includes: Classy Chocolate Pound Cake, Bountiful Beer Bread, Potato & Cheddar Soup Minx and a $25 Gift Card. Includes: 2 holiday mugs, 12 oz bag of Velvet Hammer Blend Coffee Beans, 12 oz bag of Colombian Supremo Coffee Beans, a bag of chocolate covered espresso beans, 2 biscotti. Includes: Super soft blanket, Christmas book, candle, saltwater taffy and bath bar. Includes: classic cartoon videos and snacks. Includes: Timewise night solution, Timewise matte-ware foundation, eyeliner, liquid lip color, and two eye colors. Includes: Blanket, mugs, football and snacks. Includes: 18 holes of golf w/ cart, XL T-shirt, balls & tees. Includes: Cookies, Cocoa, Music, Candle, Plate & Napkins. Includes Large T-shirt, Photo Trivet, Mug & Coin purse. Includes: Phyto Organics Shampoo, Conditions, Designing Liquid and Shine Spray. Includes: Lavender Pillow mist, body wash, body lotion and candles. Donated by Starbuck Construction, Inc.
Includes: Tray, cup, candle, microfiber dish towel and $10 Gift Certificate. Will cut and bind up to 6 x 12 feet. Includes: Scent Free Spray & Refill, Liquid & Powder Scent Free Laundry Detergent, Buck Urine Scent, Scent Drag and Odor Mask. Includes Pickled Beans and Chokecherry, Wild Grape and Plum Jellies. Includes: Table Runner, Thermometer, Photo Frame, Crock & Dip Mixes. Includes: Pizza Cutter, Cheese Topping, Crushed Pepper Topping and a Free Pizza. Includes: bird feeder, bird seed, suet and suet holder. For use after successful ice fishing! Includes: Potato and Cheddar Soup, Artichoke & Spinach Dip and Wild Rice Soup Mixes. Also includes a wellness calendar from American Diversity and a home made ornament from Mary Smith. Picnic cooler with thermos, travel mug and bag from Bremer Bank. Stop at Kadejan Market to pick up some organic fruits and vegetables for your picnic with this $15 Gift Certificate. Includes: Atlas from State Farm Insurance, a travel mug, golf balls and notebook from American Diversity. Keep your car running smoothly with a $58 tire alignment from Kar Kraft and a $35 oil change from Lundebreck Auto Repair. Includes: Atlas from State Farm Insurance, a $58 tire alignment from Kar Kraft and an oil change from Brownie’s Tire Service. Cheese tray and cheese knives from American Diversity. then get cheese and other goodies at Tom’s with this $25 gift certificate. Includes: Calculator, notebook, crayons, flashlight, pens & letter opener from American Diversity. Use the $15 Pamida gift card for more office supplies. Enjoy a movie at Cinema 9 in Alexandria with buy one Adult ticket and get one free coupon. Stop at A&W in Glenwood for a sweet treat with $10 in gift certificates! Tuck your precious treasures in this heart-shaped porcelain box and pamper yourself with scented lotions. Retired Party-lite wrought iron Barrington candle stand with candle snuffer and Peppermint jar candle. Beautiful Amaryllis bulb donated by Mary Smith. Keep the kids busy over Christmas Break with this activity book donated by Ann Grandy. Pick your favorite projects and get the supplies from Pamida with this $15 gift Card. XL t-shirt and orange visor from the Starbuck VFW and a $10 Gift Certificate Donated by Franny’s. Party-lite retired Chateau taper holder and lamp kit. Wall mounted memo holder and $10 gift certificate to Lakeside. Kentucky grilling sauce and $20 gift certificate to Minnewaska Meat. Box of burbon chocolates and a scented jar candle. Overnight Stay at Casino Hotela and $25 gift certificate to the restaurant. Gift Certificate for a free movie ticket with the purchase of an adult movie ticket. Gift Certificate for a one night stay. Gift Certificate for a one night stay and breakfast. Includes 1 month membership to Curves, diet & exercise journal, shopping list, measuring spoons, bread clip, socks and reusable shopping bag. Baskets include one bag of ground Guatemalan Free Trade coffee, and various other goodies such as mugs, candy, knit hat, potholders etc. Each basket different. These darling set of 4 handmade potholders will spruce up any table while entertaining. This basket contains a One Month Membership Gift Certificate to Minnewaska Wellness & Fitness, a 2012 monthly planner, potholder, mirror, and measuring spoon. Includes a NAPA baseball cap, 2 carpenter pencils, pencil sharpener, a $25.00 Gift Certificte to Hilltop Lumber, & letter openers. Basket Includes Ghirardelli Hot Cocoa Mixes, Spiced Cider Mixes, Melkesjokolade (chocolate candy bars), One Loaf of Homemade Bread, 1 Jar of Rommegrot, 2 Dozen Rosettes, 4 Dozen Spritz Cookies. (the baked items will be available on Saturday in the kitchen after the bidding is over ask for them please). Basket Includes Bridgestone Golf Balls a 3 pack, One Month Membership to Minnewsaska Wellness & Fitness, 6 inch ruler, keychain, letter openers, journal for your thoughts & a potholder. Basket Includes Birdhouse Scrapbook Transfers, apple balls, close pins, candy canes, & light lantern ornaments and a spool of red bead ribbon. Set of three snowman two are 5×7 and one is 4×4 framed Donated by “Boudin Art” Handmade by Sha Boudin. Donated by “Boudin Art” Handmade by Sha Boudin. Can be hung outside on your front door. Perfect for Christmas decorating in any room. Hung outside and place Peanut Butter in the holes, for the birds to perch. Spend and afternoon or evening out in the fish house. Equipment and snacks provided. Participants must have valid fishing licenses. 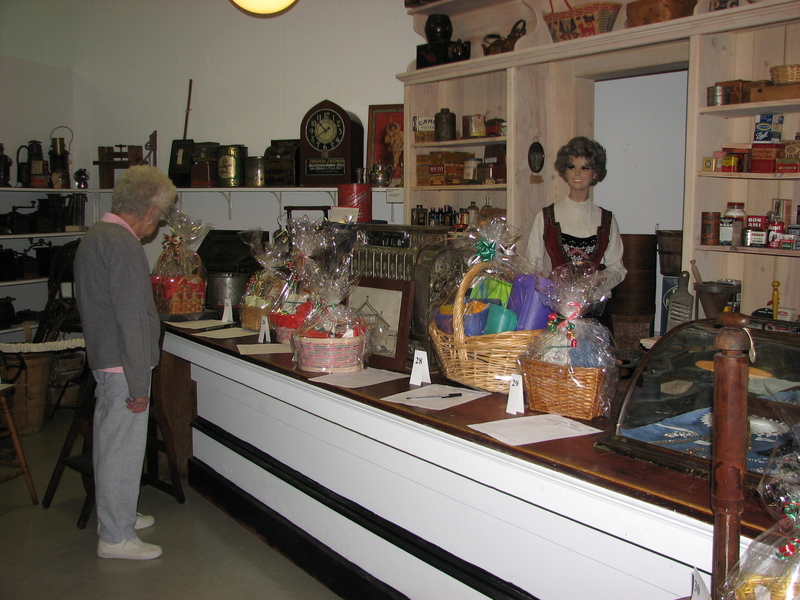 This entry was posted in Museum updates and tagged Christmas, Open House, Pope County, Pope County Museum, Silent Auction. Bookmark the permalink.